45 Years of exceptional artisan jewelry, glass, apparel, bath, Vera Bradley & more. If you are looking for beautiful artisan jewelry including Holly Yashi, Peter James, Patricia Locke, and Michael Michaud, then this is the place for you. Travelers love the fashion forward accessories featuring Vera Bradley and apparel including OneSoles, Switch Flops, Ruby Road, and Winding River reversible jackets that are designed to be versatile and pack well. 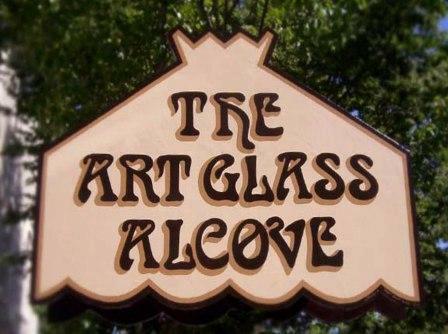 Find the perfect touch for your home among the vintage Michigan artwork and other pieces offered at Art Glass Alcove. Our bath & body collection is sure to please with selections from Naked Bee, Thymes, Archipelago, Crabtree & Evelyn, and our ever popular Fruits and Passion glycerin soap that is custom cut for you. Gift wrap and shipping are available.